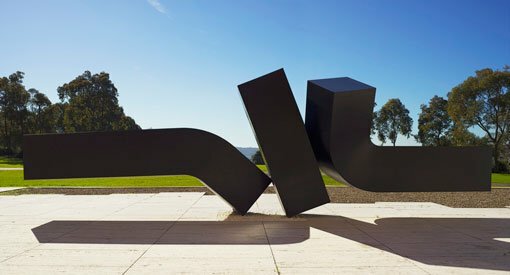 After a mammoth conservation treatment, a massive one-tonne sculpture by one of Australia’s most important and highest profile sculptors is back on display at the Art Gallery of NSW – structurally stable, rust removed and with a satin black finish. For the past year I’ve been involved in a project to restore Flippant flurry , an outdoor sculpture by Clement Meadmore (1926-2005). 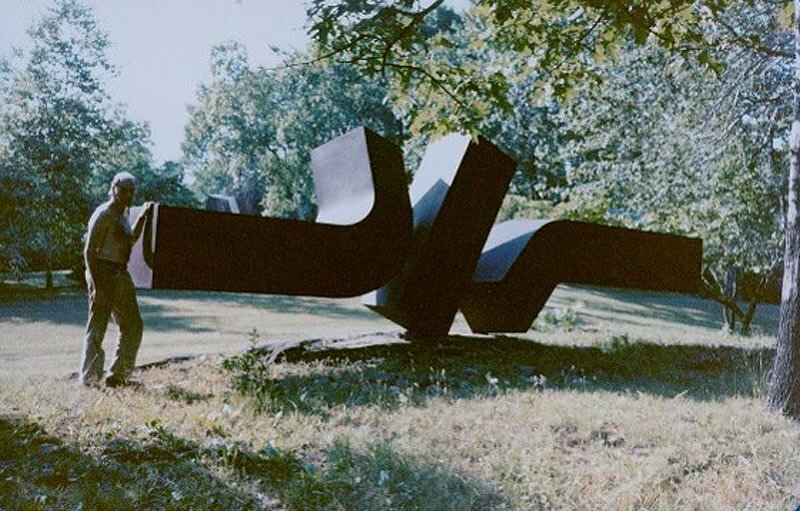 In the 1960s Meadmore moved to the US seeking better opportunities for his sculpture making. 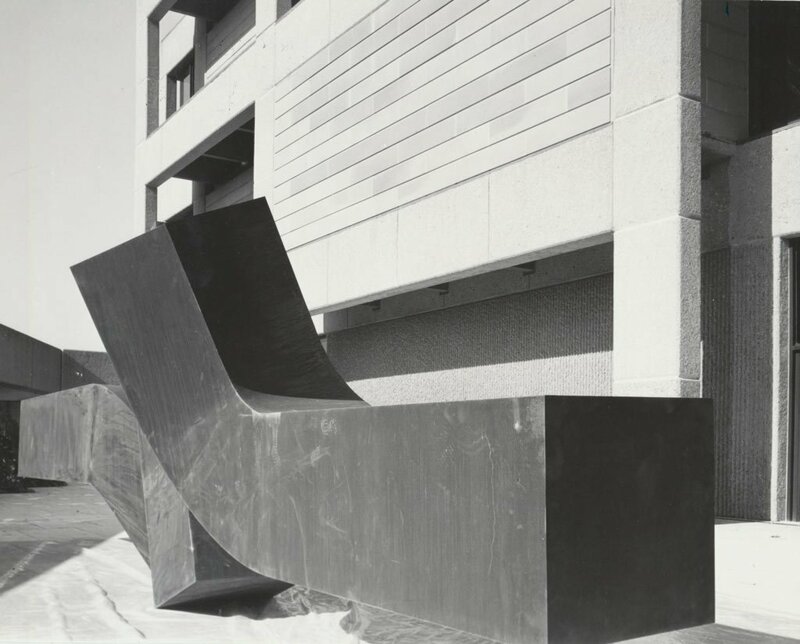 He fell in with an art fabrication company, Lippencott of New York, and was given the opportunity to use a new material, which was being marketed as Cor-ten steel (now generally known as weathering steel). 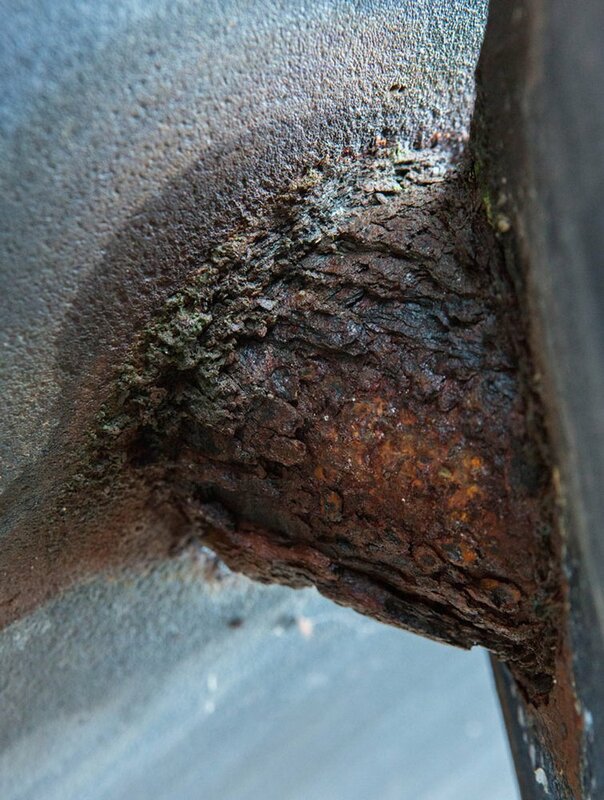 Outdoors, this material develops a protective rusted surface – in theory. Sydney, however, with our warm, moist air and salty sea breezes, provides a corrosive climate for metals. But that was just the beginning of our conservation challenges. 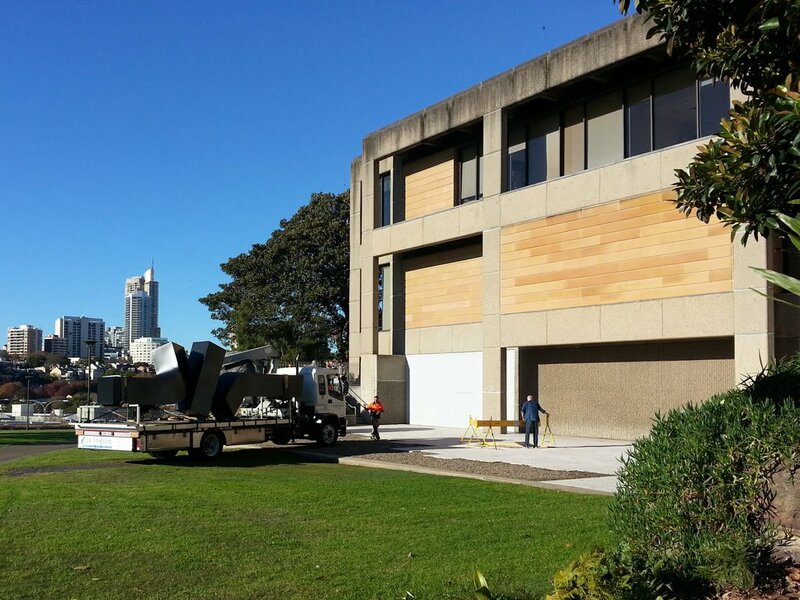 Built in 1977-78, Flippant flurry was shipped to Sydney in 1979 and installed next to the Gallery, overlooking the harbour. After a long journey, it’s there again now. To follow some of that journey, click on one of the small images in the slideshow. 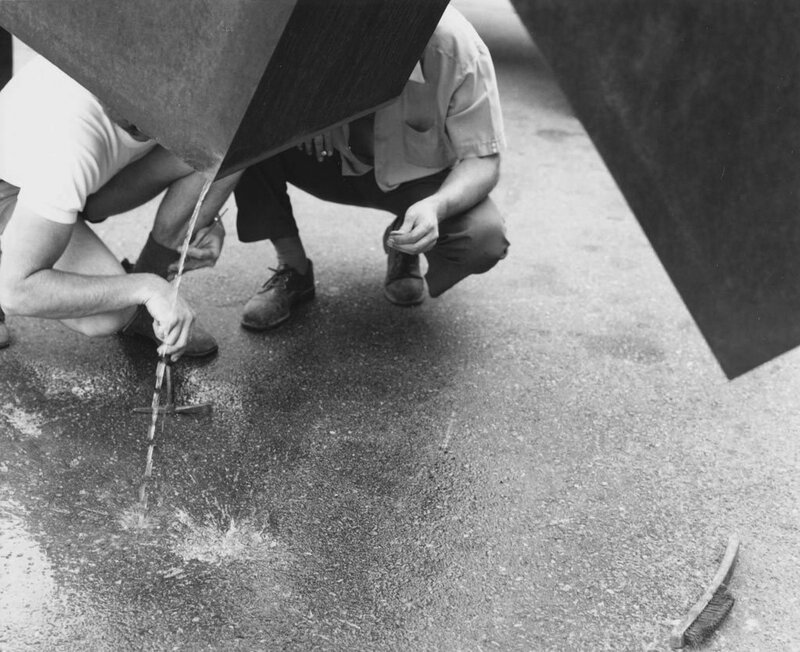 Artist Clement Meadmore with Flippant flurry in the USA before it was shipped to Australia. First installed in the Gallery in 1979. Soon after, rust stains began to develop under the sculpture on the freshly laid, costly, white marble pavers. Water trapped inside the sculpture was accelerating corrosion. Flippant flurry needed to be moved. 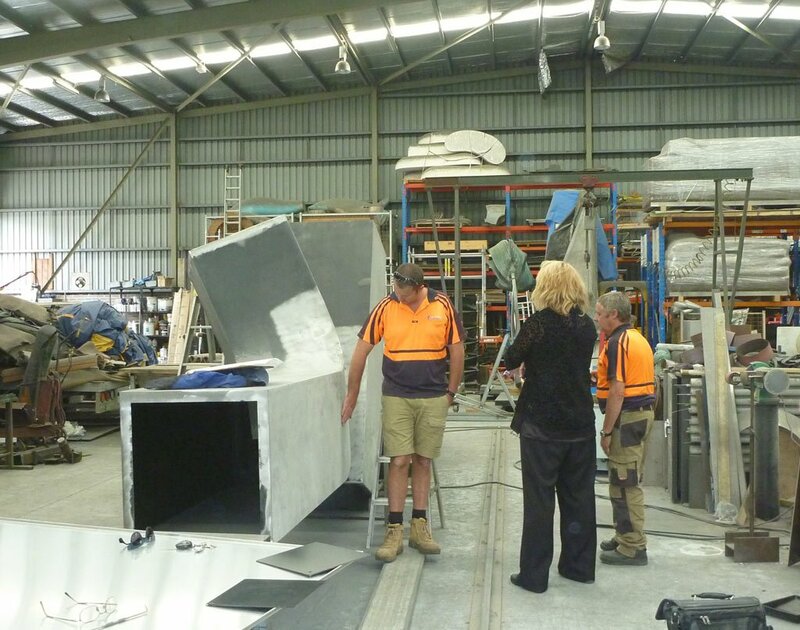 First, metal plates were welded on, which would be used to secure it in its new open grass site. The sculpture was installed around the back of the Gallery near where Brett Whiteley and Matthew Dillon’s giant matchsticks are now. In 1983, the sculpture was graffitied with two types of spraypaint. Attempts to remove the paint from the fragile rusted surface created a ghosting effect. Meadmore was consulted. ‘Paint it black,’ he said. The sculpture was taken away. 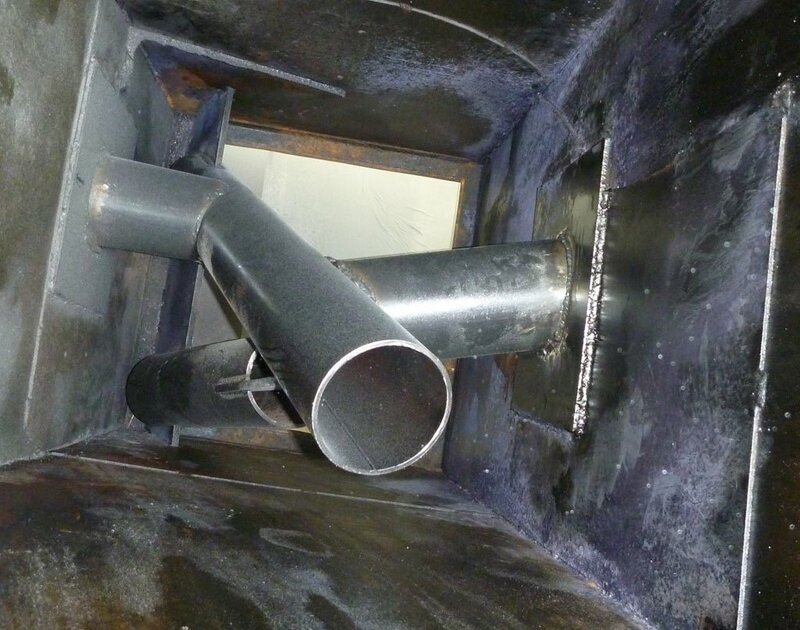 The metal plates, which were trapping more water, were removed and the rust layer was blasted off, before the surface was first hot metal sprayed to give it a zinc coating then spraypainted black. 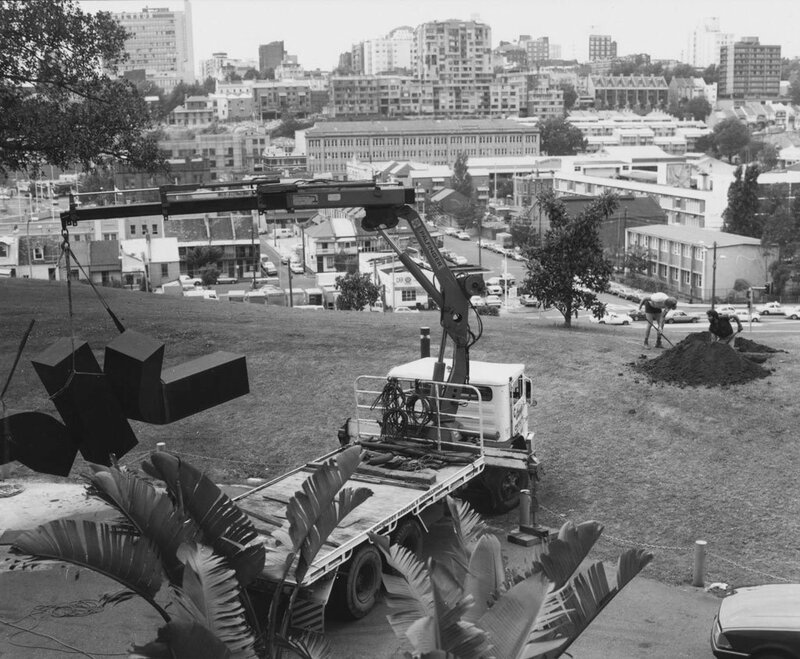 In 1990, Flippant flurry was craned onto what was then the Gallery’s sculpture terrace then 'walked’ into position – definitely not a technique we would use today. It looked good there but later had to be moved again when the new Asian galleries were built. 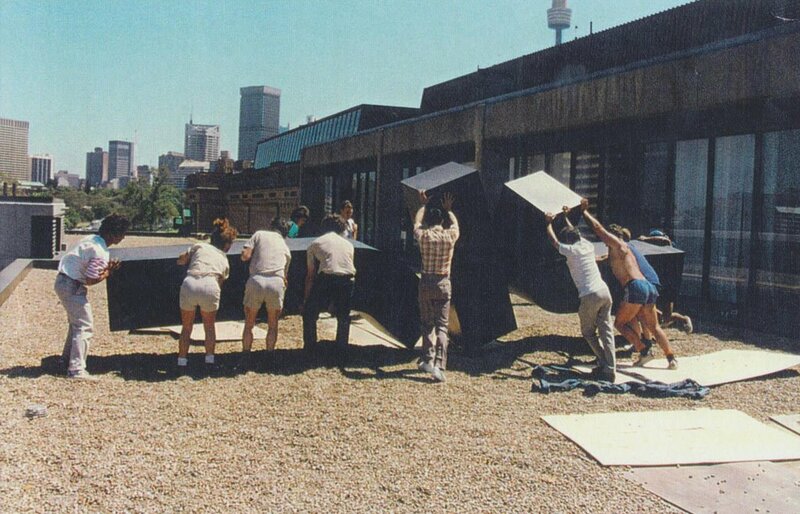 From 2002, it lived on the roof – visible at times from the exhibitions gallery on the upper level. Eventually the zinc under-layer started to show through in numerous places. We didn’t want to complicate future treatment, so as a temporary aesthetic measure, minimal acrylic paint was used to cover these small spots on the side that could be seen. It was obvious that the sculpture needed repainting and significant corrosion issues needed to be addressed, but we had to find the funds for such a major conservation treatment. Thankfully, the project captured the imagination of Macquarie Group, who came on board as sponsor. 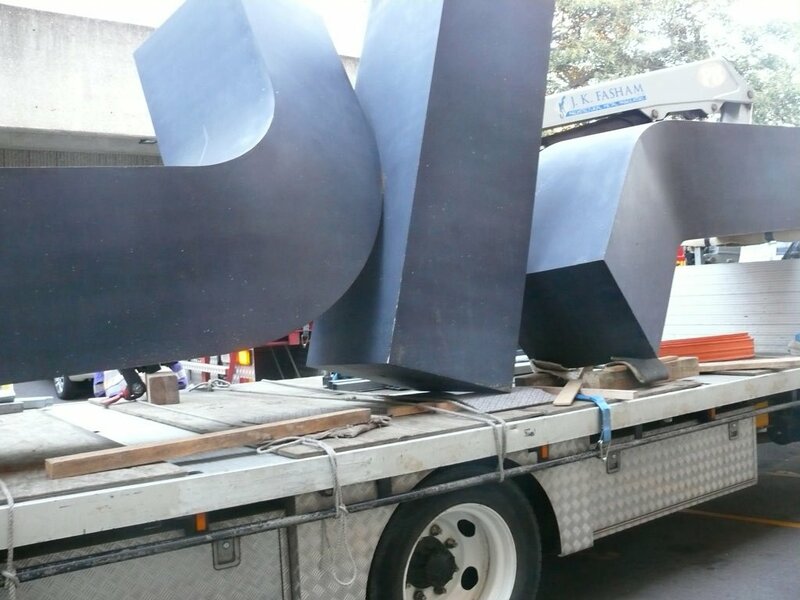 In June 2014, Flippant flurry was craned off the Gallery roof and put on a truck for Melbourne. If you look closely, you can see the spots where the zinc under-layer is showing through. 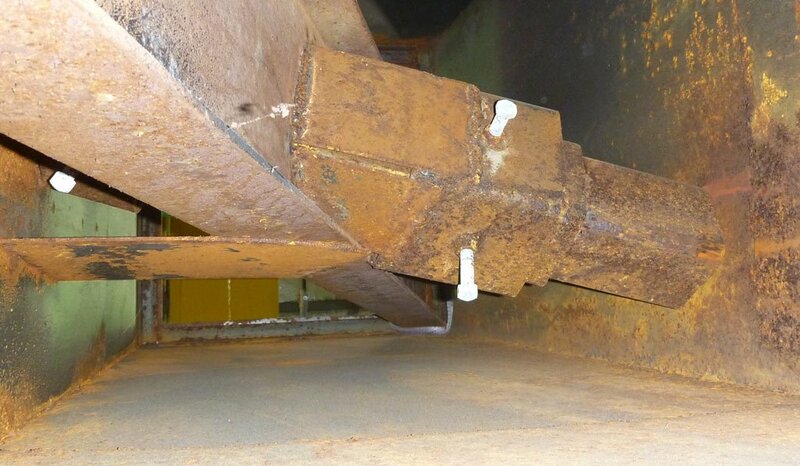 Special supports were constructed to hold the structurally weak sculpture in its correct alignment during treatment. 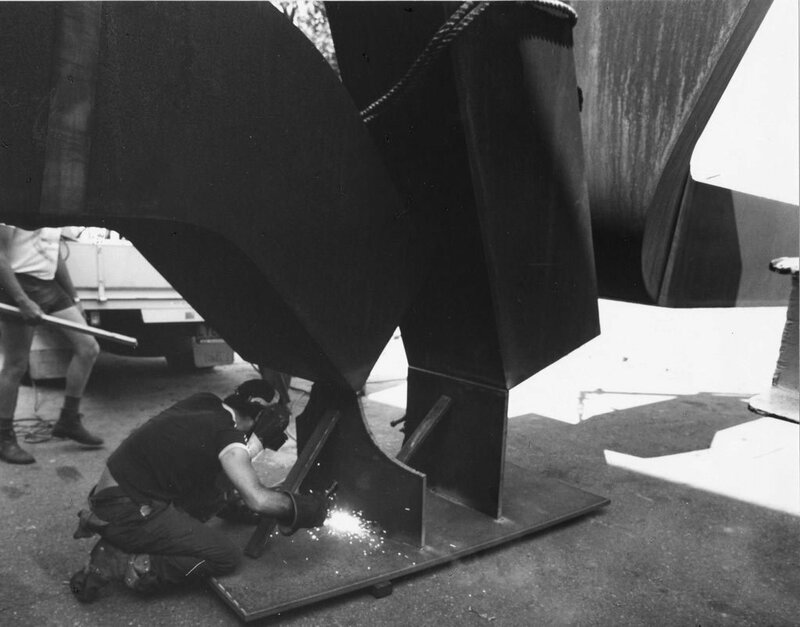 Later, a worker would crawl inside the sculpture to weld the new parts in place. Rust pervaded the entire artwork. Establishing the extent of the problem and coming up with an appropriate solution was made even more difficult because we didn’t have Meadmore’s original drawings. The structural engineer’s brief was to design the internal structure to withstand ‘crowd loading’. 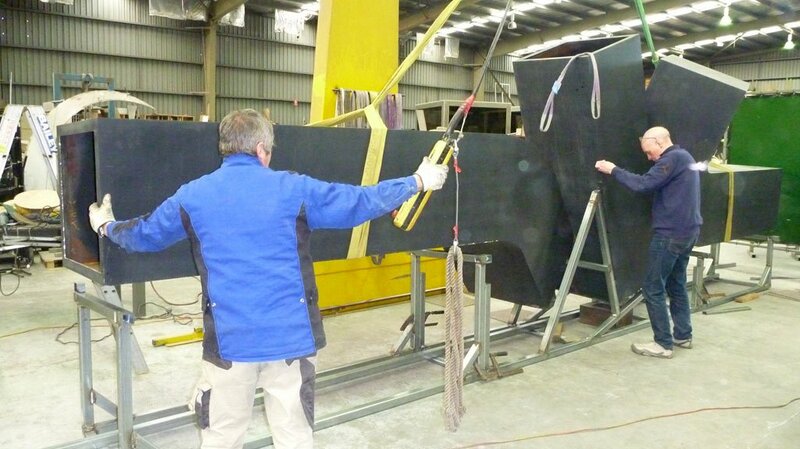 Although we considered restoring the original 'rusted’ finish to the external surface of the sculpture, the Meadmore Foundation suggested we follow the artist’s wishes and paint it black again. Although gloss and matte samples were considered, after much consultation and deliberation, we chose a satin finish. On 12 May 2015, the newly restored Flippant flurry returned to the Gallery. Next post: Do I know you?